When it comes to bathtime, I love getting versatile toys for my daughter to enjoy. I recently wrote about Nuby Bath Letters and Numbers which are great for both learning and play. 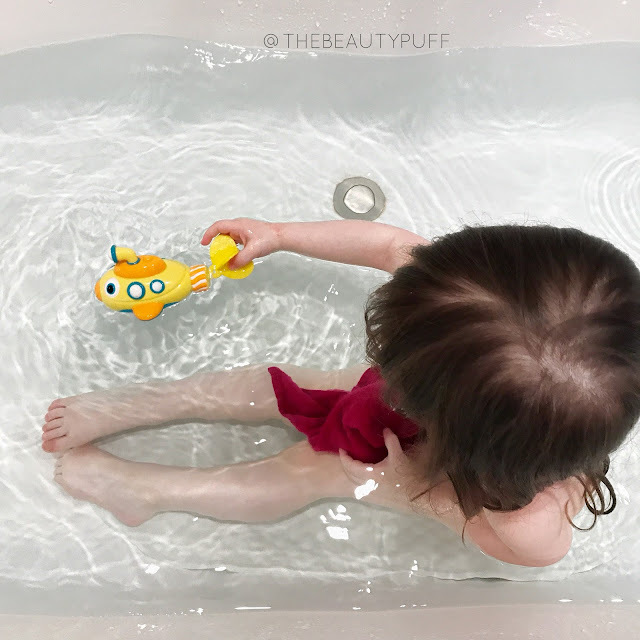 Another one of our Nuby bath toys is the Little Submarine. This toy is great for little ones 6 months and up and comes in two eye-catching color combinations - pink + purple and yellow + blue. 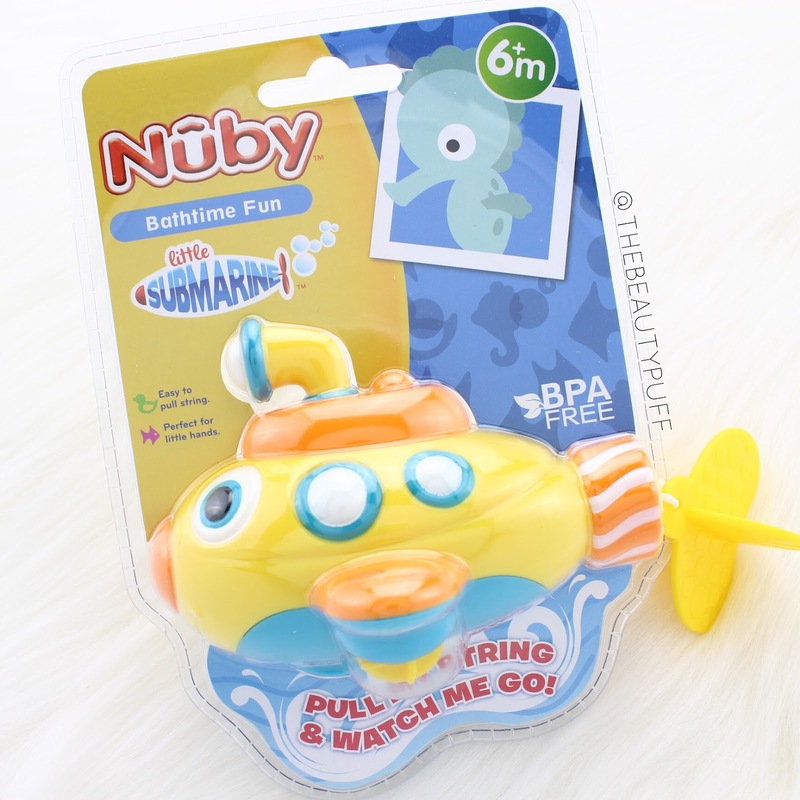 The Nuby Submarine is an adorable interactive toy that moves by pulling the propeller string. Just let it go at the surface of the water and watch it go! It's simple enough for a toddler to operate, but my little one loves being surprised by its movements too. It's a great addition to all her bath toys because it's the only one that moves all by itself! As I said before, I'm all about versatile toys. Nuby bath toys are great for the bath but are also fantastic for your child's pool. I don't know about all of you, but this weekend we're getting our family inflatable pool going because the weather is gorgeous! We can't wait to enjoy the sunshine and keep our little one occupied with her new submarine. We also have a water table and the submarine is a great addition to the little accessories that came with it. It's a great way to get more use out of bath toys and extend their life as your child grows. 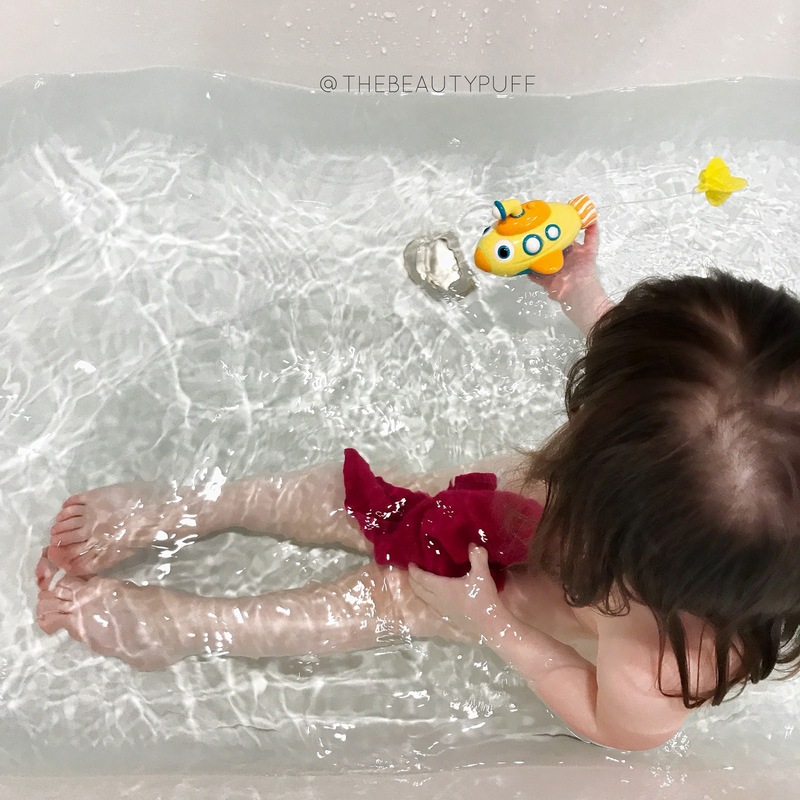 The Nuby Little Submarine is a great addition to bath and playtime for your growing little one. Shop below on Amazon.com below and visit Nuby.com for even more bath products!